Today, plant assets play a key role in overall enterprise efficiency. 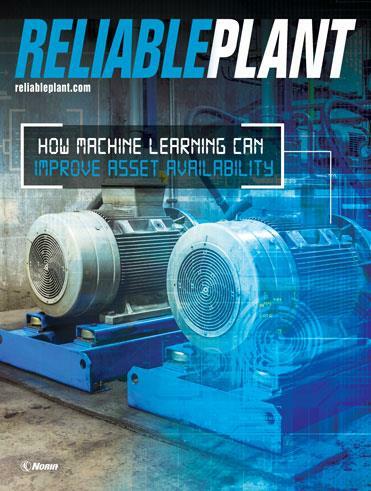 That is why manufacturers are turning to reliability-based maintenance (RBM) more and more, using RBM as a strategy to help maintain valuable plant assets and eliminate the costly adverse impacts of performance issues like delays and unexpected downtime. Many organizations struggle to manage preventive care and keep pace with the complexity of operational assets. Without a practical and prescriptive asset reliability process in place, these companies will continue to take random hit-or-miss shots at maintenance targets, often wasting resources and experiencing disappointing results. With RBM, it does not have to be that way. Technology has changed the way plant assets fail. Greater complexity of the components ultimately means more complex breadth of tasks and the need for advanced warnings of failure probability. Most reliability strategies remain time based, such as replacing bearings every six months. This has limitations, as the bearings may not need to be replaced yet or may have been past optimal conditions months ago. A revitalized approach to maintenance strategies is required — one that will better align with today’s digital evolution, sensor-based innovations, strict compliance mandates and escalating customer demands. Fortunately, the RBM process provides a sustainable methodology with optimal results. Following is a primer on the steps to building an RBM system. To begin, determine the selection criteria, decide the data components, and organize the criteria to aid in finding, maintaining and analyzing data. When selecting criteria, focus on distinguishing characteristics. The definition of an asset establishes the physical scope of the program. The criteria must speak to the things an organization does in terms of maintenance, quality and supply chain activity. These aspects of the business keep personnel and the environment safe while promoting throughput without the adverse effects from a breakdown. A typical operation may have anywhere from hundreds to thousands of assets, depending on the operation’s size and how an asset is defined. Establishing the standard asset data components will enable companies to effectively group assets. To create a ranking of priorities, it is necessary to define the factors to be considered and the potential impact a failure would have on the enterprise. When considering the criticality of an asset or asset group, look at all facets of how a failure would impact the business. Typical factors in the asset criticality ranking (ACR) calculation include operational, utilization, quality, safety and environment. This can be customized to any unique drivers an operation may have. Adequately describing the factors and defining their impact will be essential to achieve consistency and consensus throughout the organization. These factors should be well-documented so the ranking can be objective. The higher the ACR number, the more important it is to track failure symptoms and plan intervention. In the end, the rankings must be trusted, used to set priorities and effectively drive improvements. 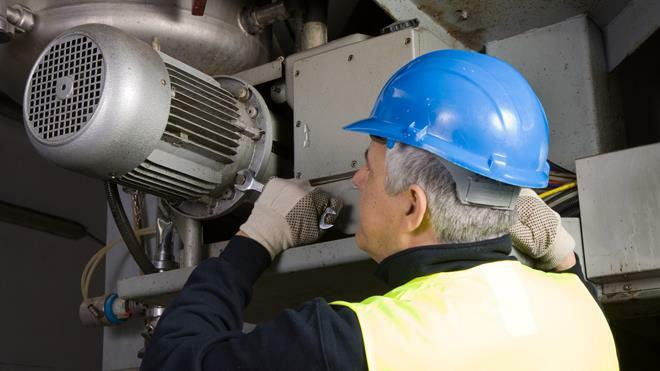 Once asset groups are prioritized, the next step is to develop the necessary preventive maintenance (PM) schedules and task plans with proactive maintenance optimization (PMO). The sequential steps for PMO are to identify the failure modes, understand the risks affiliated with each, apply the appropriate proactive maintenance strategy for the risk, and decide which proactive tasks will be assigned for each of the respective assets. Several methods can be used to identify the failure modes. 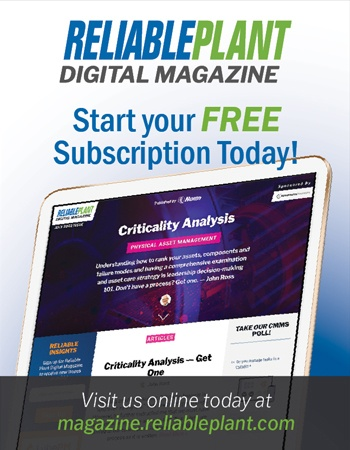 Be sure to consider the asset criticality ranking so the most critical asset groups are evaluated with the highest level of precision or priority. Also, evaluate the failure modes that are most important to the asset or asset group. The calculation used to classify failure modes is the risk priority number (RPN). The standard RPN factors are severity, likelihood and detectability. In addition to the PM schedule and task plan, a spare part analysis (SPA) is also required. The sequential steps for an SPA are identical to PMO. Spare part analysis begins with the identification of failure modes, with an emphasis on ensuring all spare parts are linked to a failure mode and identified based on risks. Similar to PMO, the risk affiliated with each failure mode must be determined. There is tremendous synergy in executing PMO and SPA in parallel, as both are driven from failure mode identification and classification. Typically, all spare parts affiliated with critical failure numbers and high-risk values should have stock quantities onsite. Failure modes that have medium RPN values should be registered in the system for quick ordering with all pertinent order information already identified but not stocked with quantities onsite. Lastly, spare parts affiliated with low RPN values will have no action taken and simply looked up and ordered on demand. Of course, this is just a guideline. Every enterprise must determine its own strategy on a case-by-case basis. The purpose of analytics is to measure the reliability of an asset or asset group and the effectiveness of the reliability strategy. For consistent analytic calculation, the criteria must be defined, and the cross-functional engineering team should be clear as to why the criteria is important and what the impact will be on the business. The primary means of ensuring that analytics are calculated consistently is to confirm the data sources and the integrity of the data within those sources. A common source for reliability data would be work orders and closing code histories. Once the failure modes are listed for each asset group, these values can then be linked to reactive maintenance work orders. This provides the ability to effectively analyze failure data. This is the last step of RBM, because once the problem areas are identified, the root causes can be determined and remediated as part of a continuous improvement program. Factual data is the key to performing an analysis that generates effective recommendations. The data-gathering step is the most time consuming but ultimately the most important, as it directly impacts the accuracy of the problem statement. Depending on the root cause analysis method, analyzing data can come in many shapes and sizes. The developed recommendations should be focused on further improving the proactive tasks and spare parts inventory, thus providing closed-loop continuous improvement. With an RBM system in place to help you manage assets, understand the risks and set priorities for preventive maintenance, it will be possible to achieve the organizational objectives for the asset pool you serve.